This year, the Winter Wildlands Alliance is hosting their 10th-annual Backcountry Film Festival. The tour will include nine films from the likes of Sweetgrass Productions, T-bar Films and Fischer Creative. WWA will premiere the Festival in Boise, Idaho, on November 7, and from there the films will travel to more than 100 locations. For the full lineup, visit winterwildlands.org. Bjarne Salen and Endlessflow have released the trailer to ‘Dreamline,’ a one-hour documentary following the skiing adventures of ski mountaineering legend Ptor Spricenieks. The film includes footage from France, Peru, Pakistan and Columbia, as well as guest appearances by Scot Schmidt, Reinhold Messner, Joe Vallone and Greg Hill. “Ptor’s ‘dream line’ finally takes him to the film’s climax on the pursuit of a remote, unclimbed peak amidst a unique cultural scenario in the Himalayan mountains of Pakistan,” a press release states. The film will premier at select mountain film festivals this fall. A recent action item from the U.S. Forest Service proposes that a special use permit be required for photographers shooting within park boundaries. If passed, the rule would pin hefty fines on shooters who evade permit regulations. “It’s pretty clearly unconstitutional,” Gregg Leslie, the legal defense director at the Reporters Committee for Freedom of the Press in Alexandria, Va., told The Oregonian. “[The USFS] would have to show an important need to justify these limits, and they just can’t.” USFS spokesman Larry Chambers told The Oregonian that permits could cost up to $1,500, and fines could run as high as $1,000. (Note: The fine is less than the permit…. Just sayin’.) Read more here. 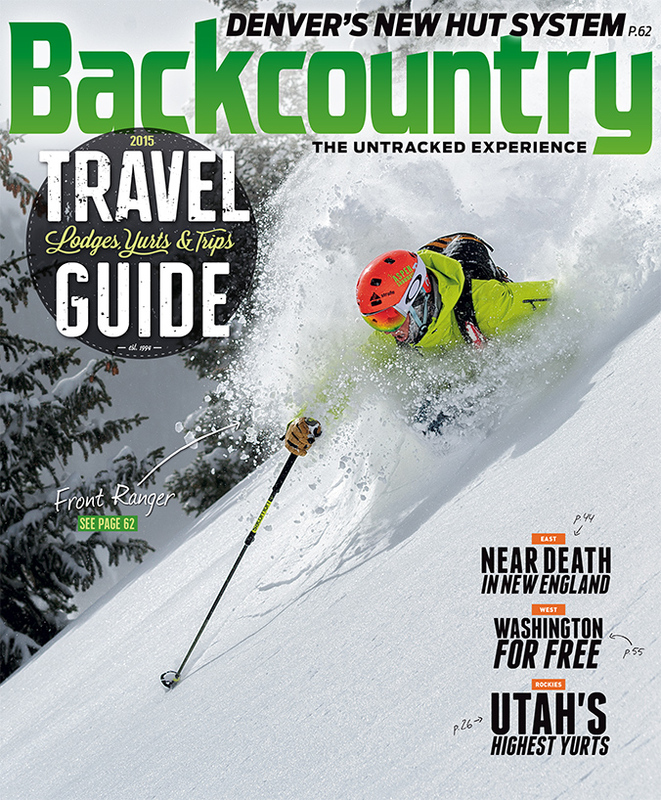 Backcountry’s October 2014 issue, the Travel Guide, hits newsstands on September 30 and is currently available for digital download. The guide features 25 huts, yurts and lodges for anyone’s schedule, and contributors from across the U.S. disclose their favorite weekend, weeklong, monthlong and seasonal trips, from weekends at Mt. Washington, N.H. to transcontinental snow travels. The issue also features 21 additional places to get out, get lost and rip turns, a look at Jeremy Jones’ Higher and an exploration of the Front Range’s newest and most accessible hut system. Subscribe here.